We are an organization of women committed to promoting voluntarism, developing the potential of women, and improving communities. Check out how we impact our local community. 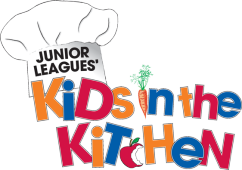 View our Calendar of Events to see what the Junior League of Palm Springs is doing this month. Better me, better you, better us. Soaring to new heights together! Since 1971, Coachella Valley Rescue Mission has been an oasis, a place of refuge for the homeless and needy in our valley. JLPSDC builds several programs working with a variety of local organizations to improve our community. Some of the organizations that we partner with include Boys and Girls Club, and Harrison House. Annual Fashion Week VIP Reception Fundraiser & Fashion Show! We are excited to announce the details of our Annual Fashion Week VIP Reception Fundraiser & Fashion Show! Prior to the California Unzipped Fashion Show on March 16, 2019, we will be hosting a pre-show cocktail party with music, wine, hors d'oeuvres plus an impressive raffle & silent auction! We would love for you to attend and experience the evening with us, as it will be fun and support a great cause! Purchase tickets online for a discounted price until Jan 30th by going to our Events section!